Total Score: 8.16 + EDITORS CHOICE! Introduction: G.Loomis has a long history of producing quality fly rods and over the last few seasons has expanded their offerings well beyond their original classic series. Like their other conventional rods the brand�s fly rods have become increasingly application specific. The offerings range from rods designed specifically for Salmon and Steelhead to their Whisper Creek rods intended for fishing even the smallest pools for trout. As fly fishing for bass has grown in popularity the company now introduces the ShoreStalker series which is designed purposely to target warm water species. Impressions: Fly rod experts Dave Whitlock and Flip Pallot both had a hand in helping G.Loomis develop the entire series and the focus was on freshwater species like panfish, bass and pike. The shorter rods were designed for working tighter loops and lower line trajectories to properly present flies close to shoreline structure. 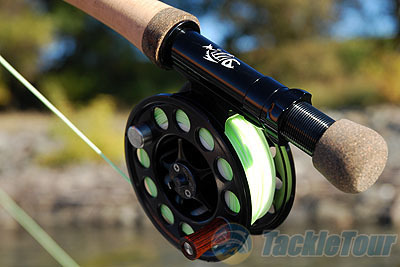 The series is comprised of five rods ranging from 5 to 9 weight and are designed to handle everything from bluegill to Amazon Peacock Bass. The ShoreStalker rods are instantly distinguishable from the rest of the G.Loomis lineup as they feature a brownish-yellow finish. The color is more subtle than the gold finished blanks utilized in the competing Sage BASS Series. Sage came out with their rods first and offer three versions that handle bluegill to bass. The nice thing about Sage�s offering is they pair each rod with the appropriate grain fly line from their own branded series of lines. The combo does cost 75 dollars more than the G.Loomis offering however, so if you already have a preferred brand of line you do have a little more freedom with the ShoreStalker. These rods are easy to transport as they break down into four pieces and come bundled with a protective rod sock and cordura lined tube. 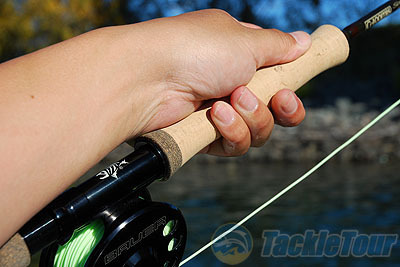 They feature a full wells shaped grip with high quality cork and even though the reel seat is pretty no-frills it is surrounded by grips finished with cork composite sections to give the rod a little more personality. Real World Test: While originally intended primarily for bass many saltwater anglers are starting to adopt the ShoreStalker rods because of their easy portability on boats, relative low cost and ability to handle shallow water species including snook and redfish. 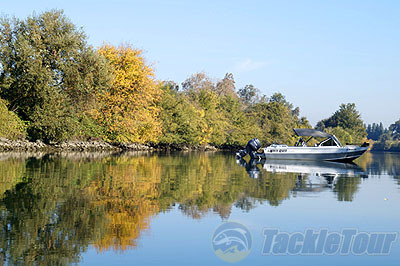 We wanted to test the ShoreStalker with the rod�s primary application so we head to the Delta and adjoining Sacramento and Mokelumne river systems to see if we could get into some smallmouth bass. Casting: The FR1026-4 is built like a bass, short and stout. The rod is only 8�6� in length and yet is easy enough to handle on just about any size bass boat. While it does not cast as far as some of the trout or steelhead rods I am used to fishing it does punch line through the wind quite confidently. The rod�s full wells handle feels comfortable both when casting and stripping line. Like bass fishing with conventional gear you are likely going to get pretty tight with structure and make casts towards structure like rocks, weed lines, points and in our case a whole lot of submerged trees and laydowns. 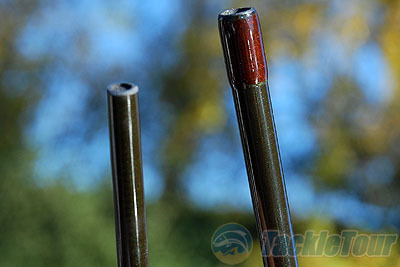 Here short casts are more important than maximum casting distance and in this application this rod excels. I found that the FR1026-4 loaded extremely easily and the fast taper helped me manage my loops so that I was able to keep the line low enough to drop flies into key areas without tangling in the structure on the sides or in the overhanging branches above. Of course the occasional snag with structure would happen (I don�t claim to be a world class fly angler) but this rod is really good at reducing the number of false casts necessary to put your flies into play.